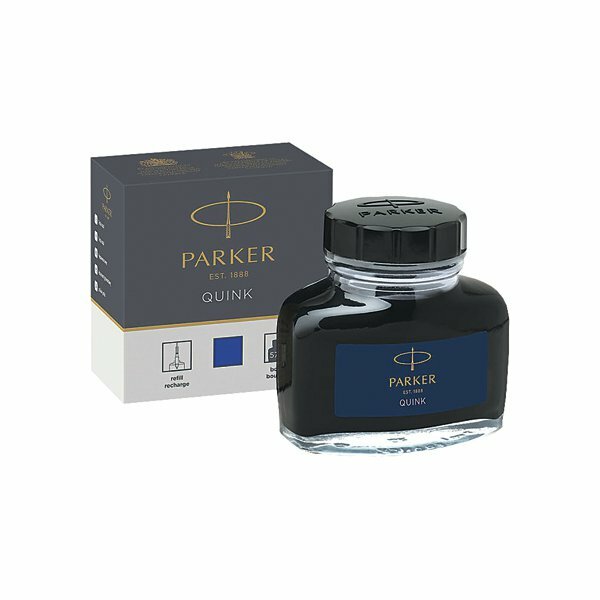 Since 1931, Parker Quink has been the ink of choice for fountain pens. It's formulated to provide exceptionally smooth ink flow with no clogging or blotting. Suitable for all fountain pens, this black ink comes supplied in a 2oz (57ml) bottle.